Discussion in 'Indian Air Force' started by Agent_47, Feb 15, 2017. Russia and India have signed a contract for the supply of A-50EI early warning and control (AWACS) aircraft, President of the United Aircraft Corporation (UAC) Yuri Slyusar told TASS on Feb. 14 on the sidelines of theAero India 2017 air show. omya, anant_s, Hellfire and 4 others like this. The Indian Air Force inducted its first indigenously developed airborne early warning and control (AEW&C) system, mounted on a Brazilian Embraer-145 jet, on Tuesday ramping up its capability to detect enemy aircraft and missiles. The Netra AEW&C system has been developed by the Defence Research and Development Organisation (DRDO) and has a range of around 200 km. The aircraft was handed over to the IAF on the opening day of Asia’s largest air show Aero India-2017, more than six years behind schedule. Over 550 defence and aerospace firms, including 279 foreign companies, are taking part in the biennial event being held at the Yelahanka air force base. “The induction of the AEW&C aircraft is the highlight of the airshow for the air force. We need to swiftly scale up our airborne surveillance capabilities,” a senior IAF officer said. India inked a $208-million contract for three Brazil-built Embraer-145 planes in 2008 as part of a DRDO programme to scale up the IAF’s AEW&C capabilities. The deal was in the news last year due to kickback allegations. The IAF currently operates three Israeli Phalcon airborne warning and control system (AWACS) mounted on Russian IL-76 heavy-lift planes and there are plans to buy two more. The system has a range of 400km. The numbers are not enough to cover the eastern and western sectors during offensive operations. In 2015, the defence ministry accorded its acceptance of necessity, the first step towards making an acquisition, for a $760-million project involving mounting two such indigenously developed surveillance systems on the European Airbus A330 platform. India is considering a proposal to buy a total of six A330 aircraft on which the AWACS may be mounted, taking the value of the deal to around $2.5 billion. The first such aircraft could be inducted by 2025. The radar system to detect far-off targets will be developed by the DRDO. Airbus Defence & Space was the only bidder for the AWACS India programme, making it the first single vendor project to be cleared by the NDA government. The AWACS is a robust monitoring system that provides 360-degree coverage, compared to AEW&C’s 240-degree capability. The AWACS also has better range and endurance. Cat Shannon, anant_s, Hellfire and 2 others like this. India is likely to place orders worth ₹20,000 crore with Airbus to buy six A330 aircraft to mount the indigenously-built Airborne Warning and Control Systems (AWACS). Before the Airbus buys for full-scale deployment of AWACS, IAF is shortly to induct indigenously one developed by the Centre for Airborne Systems (CABS) in Bengaluru. The one being inducted is built on Brazilian-made Embraer-145 aircraft that would be handed over to the IAF on February 14 at the Aero India 2017. According to Christopher, CCS had, in 2014, given the go ahead to tender for the aircraft in which AWACS systems would be fitted and following a global competition, Airbus 330 was selected. In all, six aircraft will be secured for the AWACS. Hellfire, PARIKRAMA, Abingdonboy and 1 other person like this. So, A-330s back? Then refuellers shift to Airbus 330 too or remain with IL-78 configuration? PARIKRAMA, randomradio and Abingdonboy like this. Then refuellers shift to Airbus 330 too or remain with IL-78 configuration? The IAF are issuing a tender for the THIRD time for AARs, now the KC-46 will also take part, I fully expect the A330 MRTT to win for the THIRD time especially with AWACS (INDIA) getting up and running. It would make sense to have maximum commonality within the IAF and besides Airbus are setting up massive MRO infrastructure in India. Poor Russians don't stand a chance! Lol, some young aspiring pilots definetly have a bright future ahead with the IAF by 2030 there could/would be over 20 A330s in service with the IAF alone and perhaps 3-4 with the IN also. PARIKRAMA, Grevion and Inactive like this. PARIKRAMA, Abingdonboy and Inactive like this. Makes sense for the AWACS, for AAR it makes sense to go for this open bid now the GoI has cancelled it for a SECOND time (FFS! ), a Boeing vs Airbus fight will be very hard fought and could exctract some very nice "sweetners" out of Airbus. Inactive and PARIKRAMA like this. 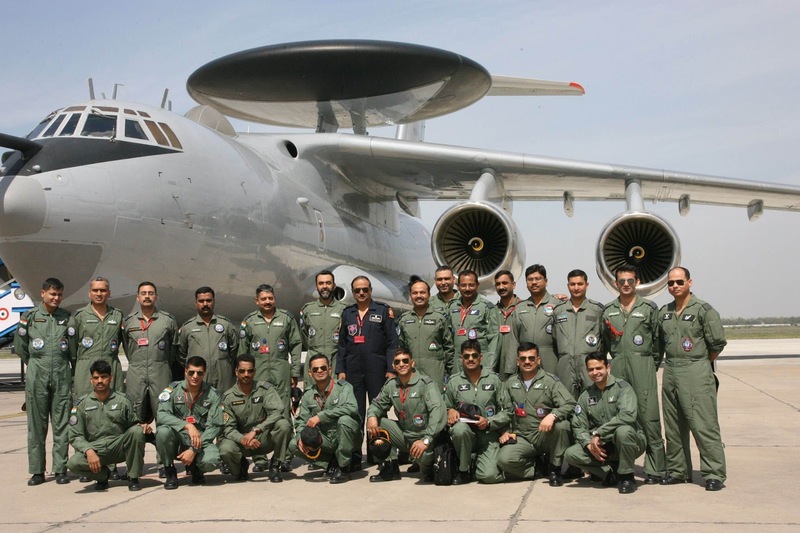 + very apparent the IAF is pretty uninterested in this type of AWACS (limited endurance, limited detection range and scope), the Netra project is simply a test bed for bigger and better things (AWACS (INDIA)) but hopefully some revenue can be gained by selling a few to friendly nations. For most users, this system will be more than enough. WhyCry, GuardianRED, Gessler and 3 others like this. Of course it would be the logical thing to do, but since when has India worked logically bro! sam2012, Inactive and PARIKRAMA like this. anant_s, PARIKRAMA, Abingdonboy and 1 other person like this. Can somebody clarify if the total no of AWACS , we plan to have will be 3 + 2 +6 ? The first figure 3 refers to the Phalon we possess.The figure 2 refers to the 2 additional Phalon for which CCS granted their approval to be mated with IL 76 or A330 (?). Finally , there's the 6 nos which DRDO proposes to deliver to the IAF onwards of 2025. I'm not including the Netra AEW in the above count at all . There seems to be some confusion here with respect to the total no of AWACS we will have by 2030 timeline . Inactive, PARIKRAMA and IndiranChandiran like this. Discounting the ERJ-145 based AEW&C, by 2030 there will be 13 AWACS in service with the IAF (3+2+6+2). There are 3 EL/M-2090 Phalcons in service, another 2 on order (all will be based on the A-50 platform, none on the A330) and DRDO is now working on the AWACS (INDIA) based on A330-200 platform of which the IAF has commited to for 6 units but their total demand is for 8. 2030 is a while away though, the demands for the AWACS (INDIA) are only likely to increase by that time. Inactive, PARIKRAMA, GuardianRED and 1 other person like this. Scratch that, there is now talk of an additional 3-4 EL/M-2090 PHALCON AWACS beyond the 3+2 stated above. To be ordered by 2020 and delivered by 2023. To note, the AWACS (INDIA) should be delivered around 2024-5 so I guess the IAF doesn't want to have too large a gap between inductions. 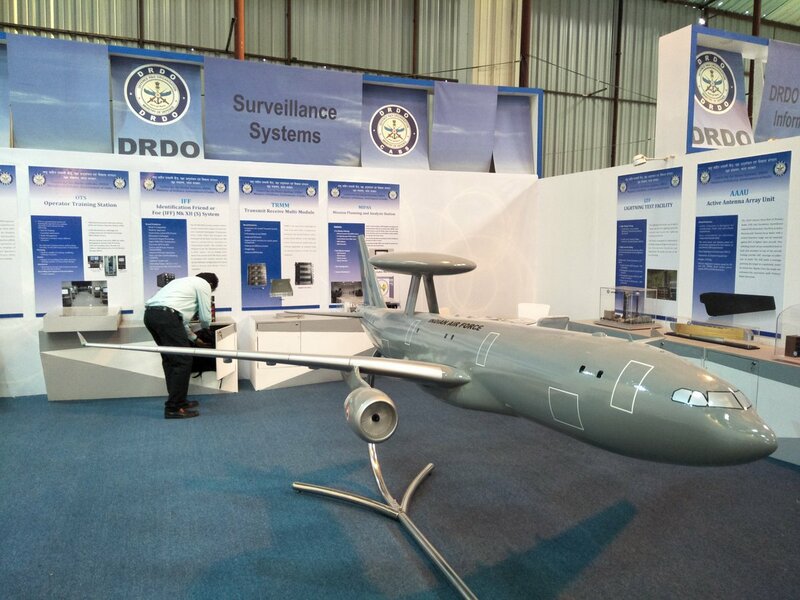 By 2030 there should be at least 15 AWACS based on wide body a/c with 360 degree track capability, supported by 2-6 smaller Netra-type systems. Not a bad fleet at all. anant_s, Bregs, Sathya and 7 others like this.